The court refused to step back into the long patent feud between the top smartphone makers. 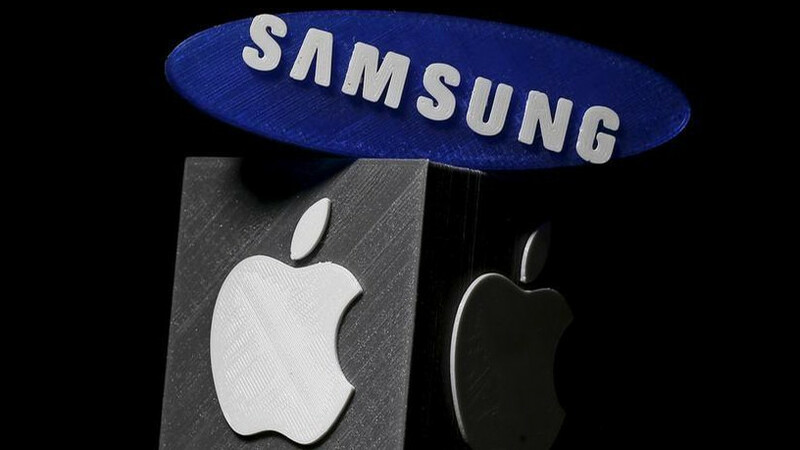 The US Supreme Court on Monday refused to step back into the years-long feud over patents between the world's top smartphone makers, declining to hear Samsung's appeal of a lower court ruling that reinstated a jury award of about $120 million in favour of Apple. The justices left in place a 2016 ruling by the US Court of Appeals for the Federal Circuit that upheld a verdict that found South Korea's Samsung Electronics had infringed Apple's patents on several popular features of the California-based company's iPhone. Those included slide-to-unlock, autocorrect and quick links, which automatically turn information like addresses and phone numbers into links. The current appeal stems from a May 2014 verdict by a jury in federal court in San Jose, California, ordering Samsung to pay $119.6 million for using the Apple features without permission. Infringement of the quick links feature accounted for nearly $99 million of the damages. Appealing to the Supreme Court, Samsung said the patent court's judges did not follow proper procedure in reviving the verdict because they made the decision without considering additional legal papers or hearing oral arguments. The judges also wrongly changed the law related to invalidating patents and awarding injunctions, Samsung added. In a dig at the patent court, Samsung told the justices in legal papers that they have "long served as the bulwark when the Federal Circuit tips the balance too far in favour of patent-holders' rights at the expense of innovation and competition". Apple urged the justices to leave the jury award in place, saying there was nothing "novel or important" to review in its rival's appeal. The Trump administration backed Apple's view.